So what is this book about? 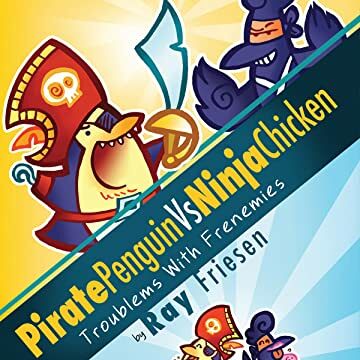 It's about a Pirate Penguin named Pirate Penguin and a Ninja Chicken who isn't. They are the bestest of friends and also the worstest of enemies all at the same time. 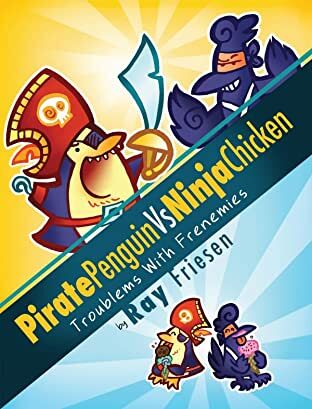 There are about a bajillion jokes inside this book, and it's filled with action, adventure and arguments. 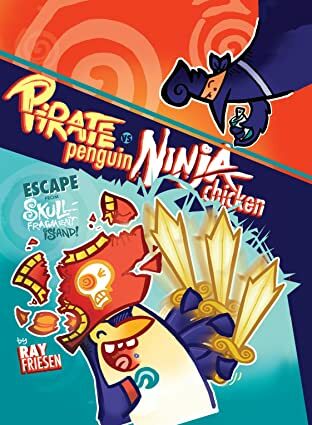 Sometimes the stories are really teeny, about stuff like ice cream or origami, and sometimes the story gets really epic-tastic, filled with spaceships and giant monsters and evil koalas and stuff. Vol. 2: Escape From Skull-Fragment Island!